Welcome to the Peachie Speechie Gallery! We make creative clothing for SLPs, teachers, and more. Check out these beautiful people in their new favorite apparel! 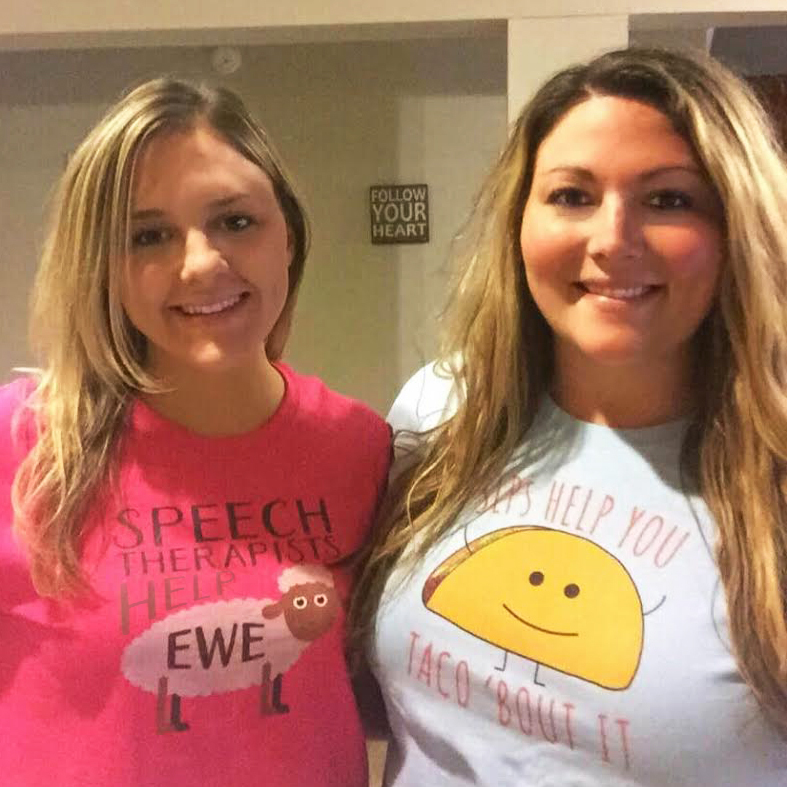 "Keep Calm and Transcribe It"
Amanda in "Speech Ewe" & Lacie in "Taco 'Bout it"
Lymari and friend in "Spanish-Keep Talking"
Abby in "I am a..."
Kim in "I Heart Speech Therapy"
Mollie Carlson in "Job Description"
Lymari and friend in "Yoda Speech"
Kara Jones "May the Speech"
Laurie in "Changing the World"
Meredith & Courtney in "SLP Brain"
@jilly2354 and friend in "Candy Corn"
Jenni & Colleen in "Taco 'Bout It"
Scarlett in "Speech is Sweet"
Lauren in "I Heart Speech"
CC in her custom logo shirt! Rachel in "I am a..."
Kim Lewis in "Owl Help"
Isabelle Kelch in "Taco 'Bout It"
Madison Brindley in "Speech Nerd"
Email a photo of you in your Peachie Speechie shirt to be featured!